All have heard of ‘Navodaya’ studios but few may know of the person behind the name or its logo? We all know actor Mohanlal. But not all know about the person who gave him his first salary that was donated to an orphanage. Well, the answer is Malika C Devi, the Corporation Council Secretary. This unassuming yet strong women with a trailblazer career in public service after a short stint in the film industry is set bid farewell to it all. She is retiring on Friday. In 1978, after Udaya Studios split, Navodaya Appachan put up a contest inviting a name and logo for his new studio. There was a flood of replies in response to the newspaper ad. Among them, one reply stood out: ‘Navodaya’. The name and the logo, which later became a milestone in Malayalam cinema, was the brainchild of Malika. Rather than his performance in the movie, she recalls the actor’s kind gesture. “I gave him his first remuneration of `2,000. He donated it to the nearby St Antony’s orphanage,” she said. The treasury of ‘Navodaya’ was overflowing ever since Malika took charge. ‘Manjil Virinja Pookal’ was made with `7 lakh but gained `98 lakh. When she was selected for public service, Appachan was more than worried. But for Malika, the choice was an easy one, “I told Appachan, even if you offer me pots of money, I prefer to work for the public. But I worked for Navodaya until 2.30 pm on April 22, 1982, before I took charge as an LDC in Alappuzha municipality at 3 pm on the same day,” said Malika who belongs to Pazhayaveedu in Alappuzha. Having served in various government offices in almost half the districts in Kerala, under various capacities ranging from a lower rung lower division clerk to the revenue officer to the council secretary, her service story has seen the making and breaking of people’s expectations. She is also known for her vigilante against corruption, which, of course, came with a heavy price. “Once a society submitted a reimbursement claim for road construction using the photocopy of already claimed bills. We booked the contractor for fraud. There were visits with hefty bags and anonymous letters with lewd content. I didn’t budge. Only after the court banned the society, did the daily harassments end,” Malika said. 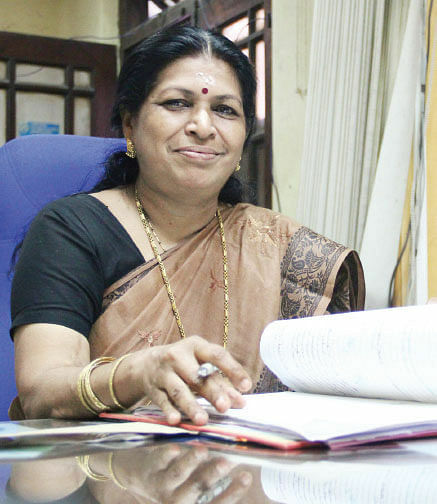 Those going to miss her from service include Kochi Mayor Tony Chammany. “Malika was more than able. With her long experience in public service, she could point out each word in files which could badly impact the public. And she would express dissent on the face, without any sugar coating,” said the Mayor. At a time when people gloat over even five minutes of television appearance, one can always meet people in government offices who have made life better for others, but who’s glory would always remain unsung, like Malika.